The Honda CBR1100XX Super Blackbird was a Honda motorcycle made from 1996 to 2007. The bike was developed to challenge the Kawasaki Ninja ZX-11 as the world's fastest production motorcycle, and Honda succeeded with a top speed of 178.5 mph (287.3 km/h). 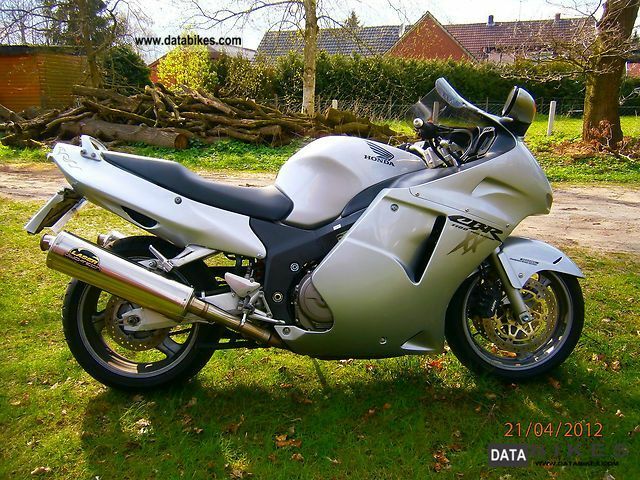 Two years later the title passed to the Suzuki Hayabusa, which reached 194 mph (312 km/h). The Blackbird is named after the Lockheed SR-71, also a speed record holder. 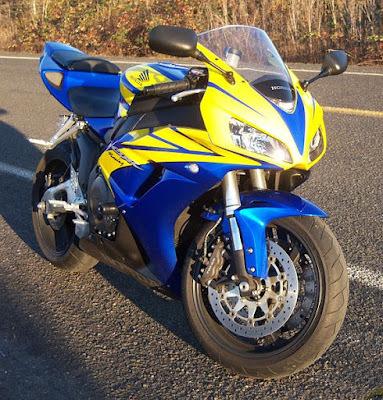 The sixth generation of the RR was introduced in 2002 (known as the CBR954RR in North America and Japan), cylinder bore was increased from 74mm to 75mm, increasing capacity to 954 cc (58.2 cu in). Larger fuel injectors and radiator, re-mapped electronic fuel injection, and a more powerful ECU were also added. The bodywork and fairings were reworked for a sleeker, more aerodynamic feel. 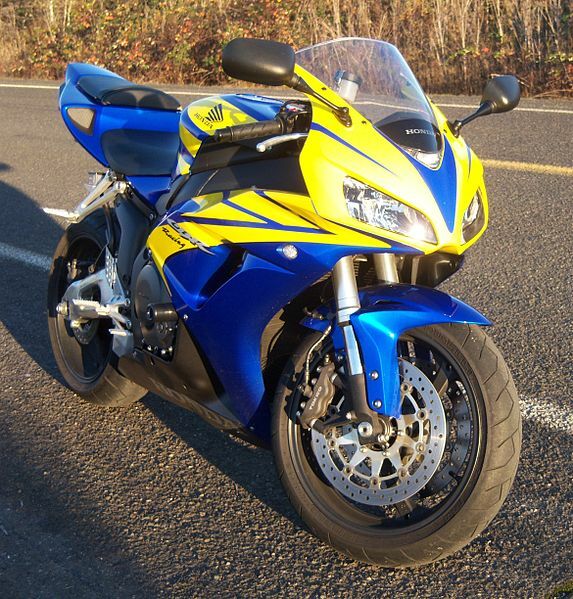 The frame was strengthened and a more rigid swingarm added and the footpegs were raised to allow for greater lean angles. Front discs increased to 330 mm. Dry weight was reduced to 168 kg (370 lb). 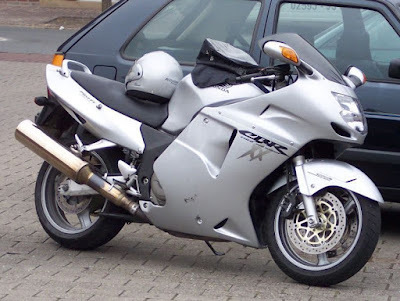 The fifth generation of RR, known as the CBR929RR in North America, was introduced in 2000 and had a completely new 929 cc (56.7 cu in) engine incorporating fuel injection, more oversquare cylinder dimensions, larger valves set at a narrower included angle, lighter internals, and an all-titanium, HTEV-equipped exhaust system. The "pivotless" chassis had the swingarm mounted to the engine cases but incorporated a brace underneath the engine. Updated suspension and brakes included an inverted front fork and 330 mm front discs; and the 16 inch front wheel was replaced with a more common 17 inch wheel. 1996 brought the first major changes to what was now the third generation of the CBR900RR. In order to achieve a more optimized balance of rigidity, Honda significantly altered the 1996 CBR's chassis and suspension. The frame and swingarm were fabricated from larger, thinner-walled extrusions for increased torsional rigidity. The fork and shock internals were re-designed, and the swingarm pivot raised by 5 mm (0.2 in). Revised ergonomics brought the bars 10 mm (0.4 in) higher and swept back five degrees more than earlier models, along with a slimmer gas tank. Engine updates included a bump in displacement to 918 cc (56.0 cu in) via a 1 mm (0.039 in) bore increase, slightly higher compression, a curved radiator, larger exhaust, extra clutch plates, smaller alternator, and the addition of a throttle position sensor. 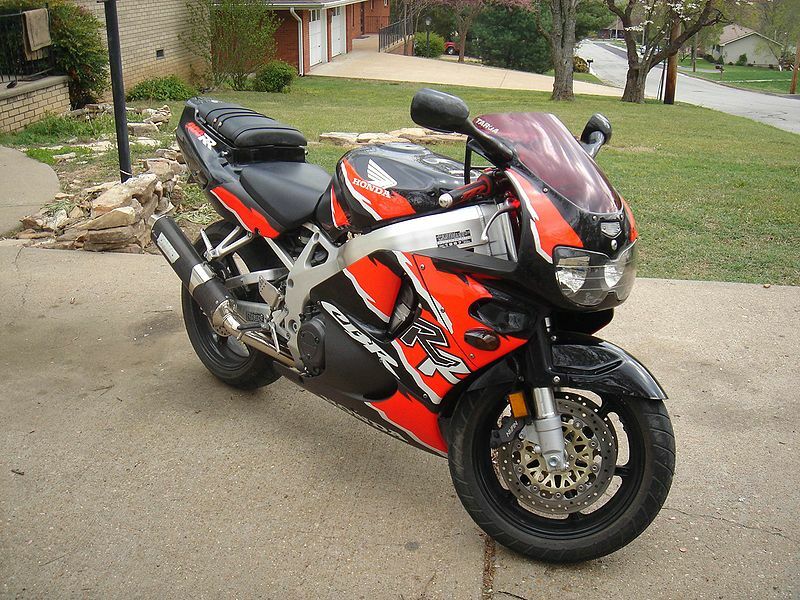 The 1996 model carried over to 1997 unchanged except for the updates to color/graphics offerings. 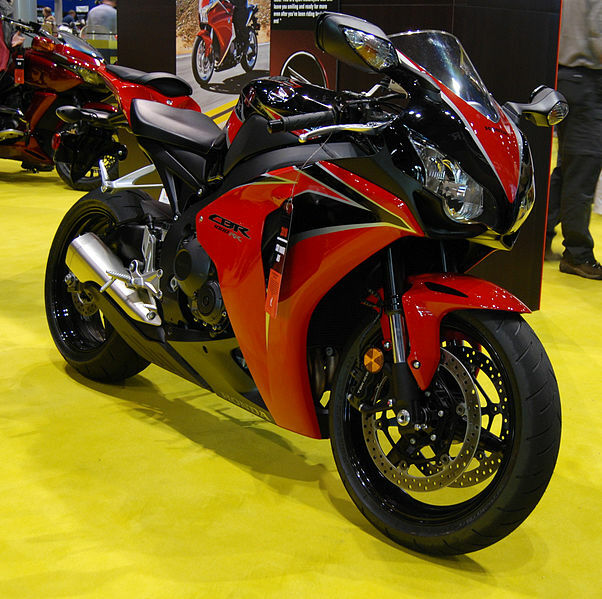 In 1998, Honda continued subtle refinements in the fourth generation CBR900RR's chassis. It saw frame stiffness closer to the original model's, revised suspension internals, and 5 mm (0.2 in) less triple clamp offset (an almost universal aftermarket upgrade to previous models). New brake calipers acted on larger front discs, the fairing was re-shaped and raised footpegs subtly changed ergonomics again. Eighty percent of the engine's internals were all-new to reduce weight and minimize friction; other updates included redesigned combustion chambers and porting, aluminum composite cylinders, new pistons, a smaller and lighter clutch pack, revised gearbox ratios, larger radiator, and a new stainless steel exhaust header.